I was lucky enough to visit the beautiful country of Sweden. This time my travels took me to a region I hadnâ€™t previously heard much of, that being the beautiful region of SkÃ¥ne. SkÃ¥ne is located in the south of the country and less than one hourâ€™s flight from Amsterdam Schiphol. To get to my final destination, I first flew to Denmark and Copenhagen Airport. On arrival, I then took the quick connection over to Sweden. The distance is not too far and it is a fast connection by train. It is also a memorable trip, as you also pass over the spectacular Ã–resund bridge towards the city of MalmÃ¶ in SkÃ¥ne, with the views across the water being pretty fantastic. Once I arrived in MalmÃ¶, I then took the final and short journey up to the Norhern part of the SkÃ¥ne region. 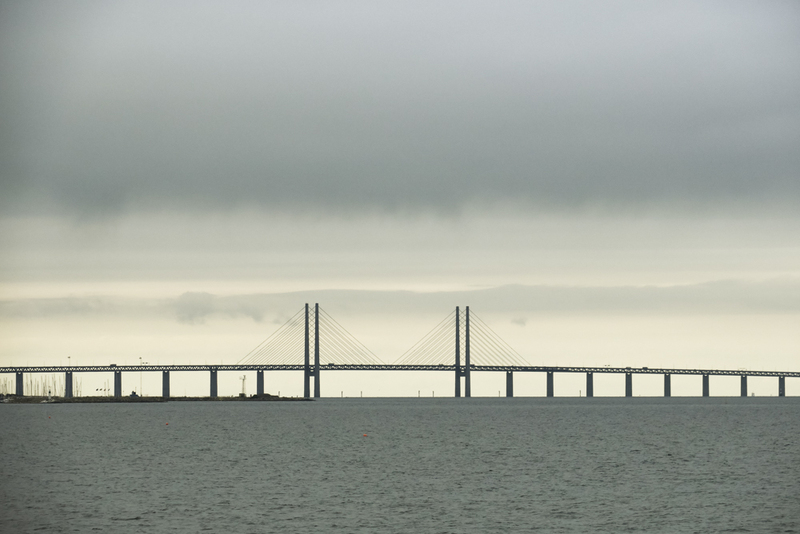 The spectacular Ã–resund bridge from Denmark to Sweden. MalmÃ¶ is a really vibrant and modern looking city, with a great deal to offer any visitor. From cool designer stores, beautiful green outdoor spaces, trendy indoor food markets and eateries, there is something here for everyone. The overall 'vibe' and feel here was energetic, hip and very appealing. The city has many interesting locations to view and enjoy, from the main modern centre to the more traditional and historic attractions like the Ribersborgs Cold Bathhouse. Cold bath houses are a Scandinavian tradition and can be found in many places in Sweden. This bathhouse is located on the Ribersborgs beach and is well known for being one of the regions finest. 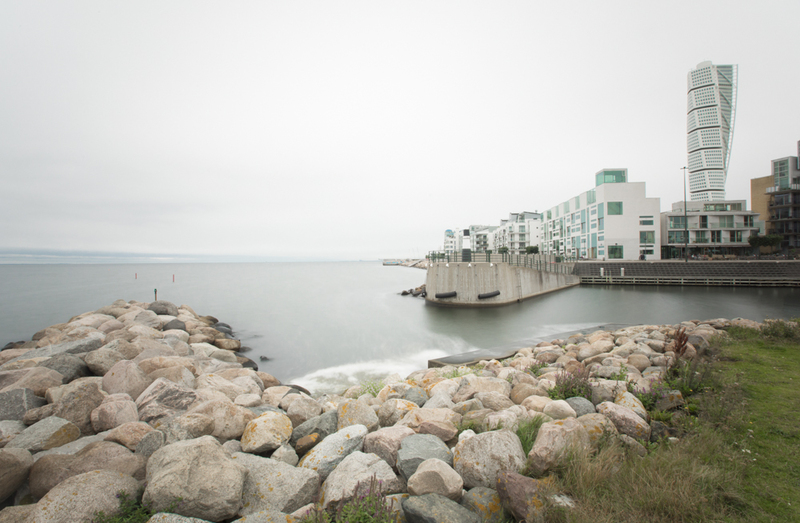 The bathhouse is used by the residents of MalmÃ¶, who go there to enjoy a refreshing dip in the sea, which is located right next to it. Even when temperatures are close to 4 degrees, the locals never shy away and it becomes a popular place to be. It is definitely a sight to see and something we can all admire and learn from. It certainly looked like a refreshing way to start your day and a great way to live your life. The famous neo-futurist residential skyscraper Turning Torso, the tallest building in Scandinavia. After spending a few hours looking around the pretty city of MalmÃ¶. I travelled to the north west of SkÃ¥ne, by car. The journey was a really interesting one, as you pass close to the rugged coastline. Nearby is the sandy BjÃ¤rred beach and pier. At this location you can find the longest pier in Sweden. It is a sight to see and when you walk along it, it seems to just go on forever. It was a great experience, as I have never seen anything quite like it and I felt I needed to capture the moment, not only with pictures, but also having the opportunity to walk along it. Once I had completed a walk and took a few pictures. I sat on the beach and enjoyed some more precious moments. Especially, as the sun began to set and it was just nice to let my face soak up the early evening light. It was a great moment for me and a moment that I will remember from this trip, as I saw locals and day trippers happily walking passed me, enjoying the fresh air and the early evening sunlight. The pier was continually used as a means of a refreshing walk, relaxation and to perhaps take their minds off the busy day. To capture its sheer size, I took the opportunity to use my drone. From a higher vantage point, you can really see just how long the pier actually is. My journey then continued towards the north-east of the region, eventually bringing me to the beautiful nature park of RydebÃ¤ck â€“ Landskrona. 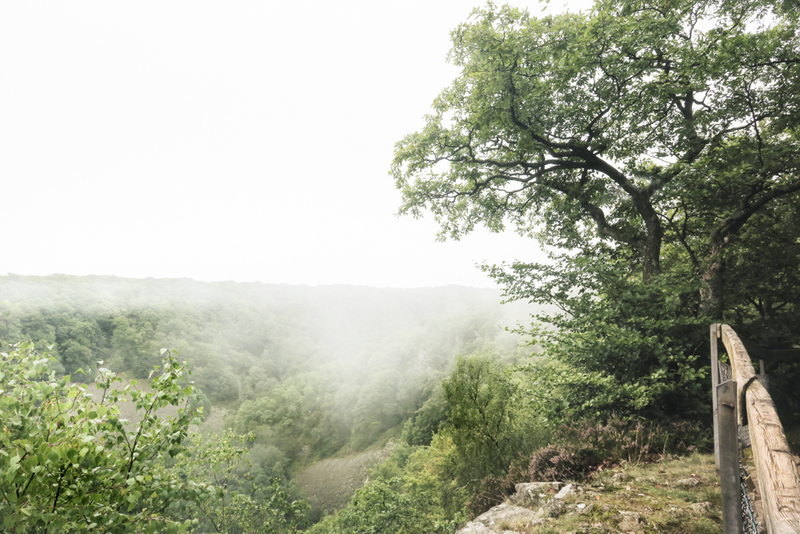 This is a stunning natural park and is home to many deer. On arrival, I parked the car and then decided to set off for a walk. It was a peaceful setting and the weather conditions and surroundings made for an interesting walk along the rocks. I was lucky enough to arrive with the sun still setting and it was wonderful to see the many light changes cast upon the rocks, in this interesting landscape. It was so great to see the rocks increasingly changing in colour, from white to orange, all changing by the setting sun. With the added bonus of a nice calm sea, it is a very special place and in my opinion a place everyone should see. The SkÃ¥neleden Trail, which leads along the coast, provides the best views for a sunset. It quickly gets dark here, at this time of year. I was also pretty tired from the travel, so I decide to return to my car and head back towards my accommodation for the night. During the return journey, I was pleasantly surprised by the number of deer to be seen, roaming in this beautiful area. The deer can be pretty illusive at times, but they do show themselves at dusk. Luckily, I did capture a glimpse of a few and it was a great sight to see. After a long day, it was time to set course for my hotel and rest for the night. The hotel was a short drive away from my final destination of the day. It was a wonderful place to stay and it turned out to be a beautiful castle! Ã–renÃ¤s Castle is situated close to the coast and it certainly made for a fairy tale ending to what was my perfect day. At GlumslÃ¶vs hills, I was pleasantly surprised by the deer, who showed themselves at dusk. 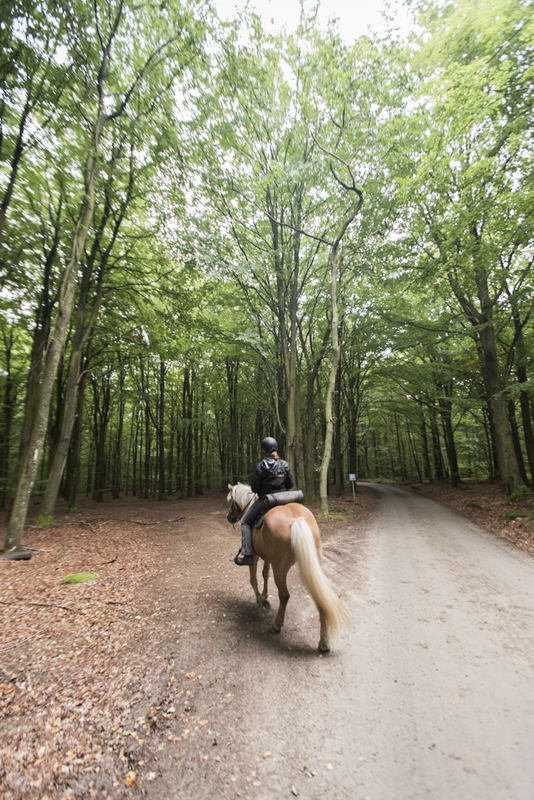 The next day, I continue my journey to the National Park of SÃ¶derÃ¥sen, where I was lucky enough to explore this wonderful place by horse. SÃ¶derÃ¥sen National Park is the largest natural area of protected woodland in Northern Europe. It is a designated area of about 16 km2 (6.2 sq mi). My time here was really fabulous and it was a nice experience to be riding a horse, in such wonderful surroundings. If you get the chance, I would definitely recommend this. It is an ideal way for you to see the park, in a short time. It is also, a really fun experience when the deer begin to show themselves, from the protection of their natural habitat. Even when the horse began to ride faster, the deer see no danger and are not scared off so easily. So, it gave me some time to admire a few up close during our ride. Later, I continued my journey towards the city of Helsingborg, where I rested for a while and got to enjoy a delicious, traditional Swedish lunch at PÃ¥lsjÃ¶ Krog. Here, I could not only enjoy the food, but also admire the beautifully renovated and photogenic bathhouse called PÃ¥lsjÃ¶baden. Yet again, another great location, in the region and definitely well worth a stopover on your travels. The beautiful bath house PÃ¥lsjÃ¶baden at Helsingborg. After my lunch I continued my journey towards the most famous nature area in the region, which is called Kullaberg and it is situated in northwestern SkÃ¥ne. 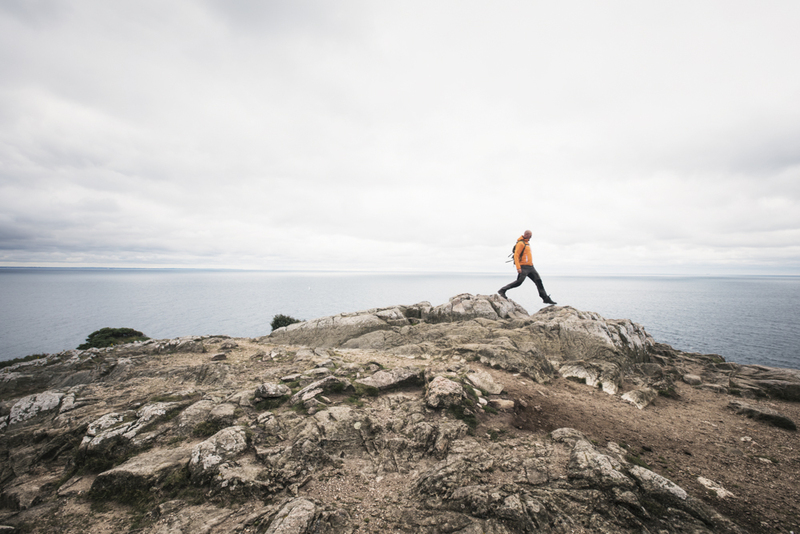 Here you will notice that wherever you go, you can see the silhouette of Kullaberg against the horizon. This dramatic mountain rises up prominently with its steep precipices facing towards the sea. Once you arrive, you can admire a wide unspoilt view over the sea of Ã–resund and Kattegatt. Besides the view you can also take a wonderful walk along the coast and revel in the various flora and fauna that this nature reserve has to offer. The lighthouse standing here is called Kullens Fyr, and is the brightest lighthouse in Scandinavia. Located 78.5 meters above sealevel at the very tip of the reserve, it is also the highest located lighthouse in Sweden. This is the ideal spot to enjoy a beautiful sunset or thunderstorms at sea! Every 5 seconds, the Kullen lighthouse flashes white for 0.3 seconds with 27 nauticalmiles reach. Built in 1561, the beautifully designed staircase looks stunning. MÃ¶lle is another great place to stop and visit. It has a lot to offer and a really worthwhile thing to do here, is to pay a visit to MÃ¶lle harbour. With its old, romantic houses dotted all around. This place has a romantic atmoshpere. From here you can also discover and admire this nature reserve from a rib boat, and see the dramatic views on the cliffs from the water. You can also even spot whales on a WhaleSafari. Which Iâ€™m sure must be a great experience to see up close. Too bad I didnâ€™t get to see this! After leaving this beautiful natural area, it is almost time to set off for home. On the way back I see even more delightful places, so many hidden gems. It therefore offers a perfect reason why I must come back to this region again in the future, with so much to see and to discover in this versatile and beautiful region. It was a great experience and one that I thoroughly enjoyed. I would like to extend a huge thank you to The Swedish Tourist Board in the Netherlands and to Visit SkÃ¥ne, for providing me with this great opportunity and for all of their efforts in the organisation and making this trip a great success. If you would like to find out more about Sweden, then please check out Visit Sweden.